Duncan Ross is a British potter. 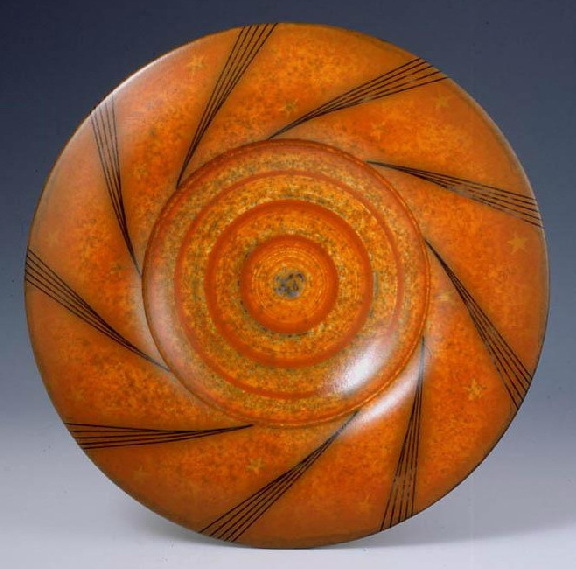 He works exclusively in terra sigillata, an ancient Mediterranean style of pottery (“solely clay and smoke”). His work is beautiful and the home page of his website has a little flash show of some of his best pieces. Enjoy. Enough profound speculation. Show and tell now. 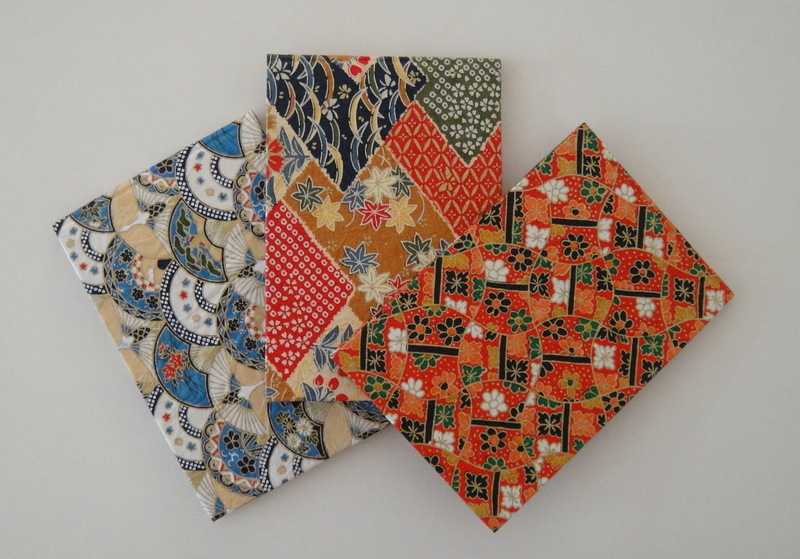 Chiyogami (“paper of 1000 colors”) is a cheap, block printed sort of washi paper. Those steeped in Japan’s wabi-sabi aesthetic are forever surprised just how gaudy Japanese art can be. A 16th century texts attempting a synthesis of the two tastes suggested that “dull quenched gaudy”; the truth is that it provides just the sort of background against which gaudy shines all the more brilliantly: chiyogami stands out beautifully against the dull background of untreated wood architecture and grey- 0r indigo-colored domestic clothing. One buys it in sheets and uses it to wrap gifts; or books; or clothes; or anything that needs wrapping: a use of beauty in everyday life of the sort now long since banished in our own, western lives impoverished as they are by the combination of kill-joy Judeo-thinggie, utilitarianism, and plain unwashed ignorance.